Hey, Alexa, how does it feel to be trolled? 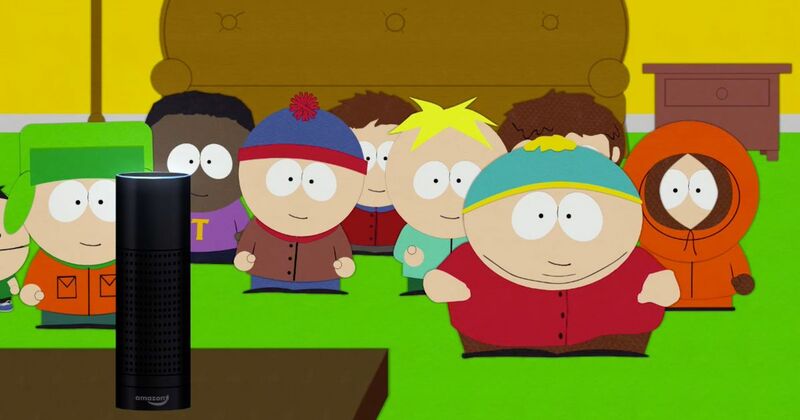 For last night’s season 21 premiere of South Park , Trey Parker and Matt Stone opted not to make a fool of Donald Trump , but instead a had harder target: the viewers at home — by literally invading their homes. “White People Renovating Houses,” which spoofed Confederate apologists, for the most part, also featured Cartman toying around with the voice-automated speakers Amazon Echo and Google Home, shouting a few innocent directives and several, uh, less so.